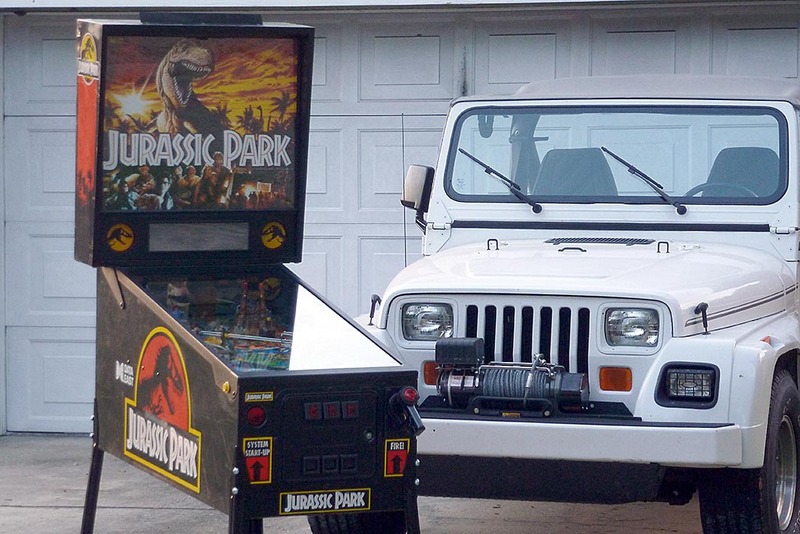 We have seen a lot Jurassic Park pinball machines around here lately. No doubt due to the fact that Data East produced just over 9,000 of them (9,008 to be exact.) It’s a great game with a great theme as it appeals to a lot of people. It’s fun to play and even has a T-Rex that can eat your pinball. It came out in 1993, a year where some of the best pinball machines were released including Data East’s Tales from the Crypt, Last Action Hero, and Williams’ White Water, Indiana Jones, Star Trek TNG, and Twilight Zone. Jurassic Park and other Data East games from this era all seem to have the same common problems; broken fuse holders, leaky power supply capacitors, and burnt and cracking GI (general illumination) connectors. 90% of the time, the power supply will have broken fuse clips so the fuses no longer fit into place. Weak metal in the holders just give way from being under tension for so many years. This problem is also seen in the flipper power circuit board. It’s best to just replace the all of fuse holder clips with brand new ones. Not a difficult task, but crucial for long term reliability. The capacitors on the power supply tend to leak and keep the entire game from booting up. Usually it’s one or two very small ones that only cost a few dollars to replace. Lastly, the GI connectors get hot and start to crack. This is because when these games were on location (arcade, bar, etc. ), they were on for many hours at a time. When a standard pinball bulb starts to fail, they tend to draw even more current overloading the connectors, generating heat and causing them to break down. All of these problems are pretty routine fixes. If you have a Data East with these issues or other problems, drop me an email and arrange a time to drop it off for repair. Time to get your game back up and running and enjoy it again! This entry was posted in Repairs, Mods & Shop Outs and tagged data east, jurassic park, Pinball, repair, tampa by Pinball Shark. Bookmark the permalink.